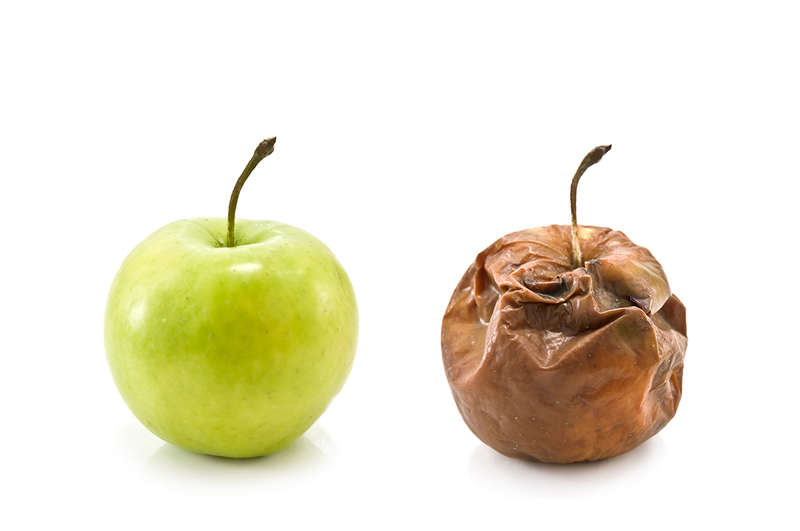 The system provides convenience and increased efficiency. MediaBox broths and buffers are sterile, easy-to-use and come in a convenient stackable storage box with a long shelf life. Significantly reduce staff workload by removing weighing, measuring, mixing, autoclaving and cleaning glassware. MediaBox is supplied ready-to-use and is far easier to use than dry bags, which are difficult to fill, often leak and are not consistent from one bag to the next. 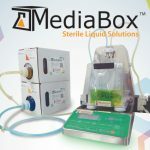 MediaBox directly connects to the EZ-Flow gravimetric diluter creating an automated system for weighing and diluting your samples. EZ-Flow automatically weighs samples and provides diluent from MediaBox for the correct dilution factor. Your lab will love the convenience and increased efficiency. Microbiology International offers a wide range of dosing systems to pair with your MediaBox of choice. All MediaBox products pass strict quality control protocols and include Certificate of Analysis documentation. 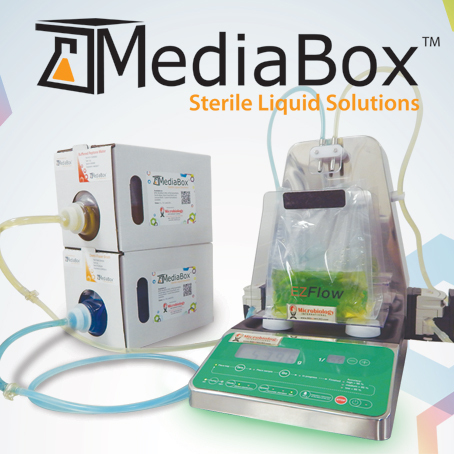 MediaBox sterile liquids come in 5L, 10L and 20L boxes. Available types include Buffered Peptone Water, Modified UVM, mTSB, Demi-Fraser Broth Base, Phosphate Buffer, Butterfields, Lactose Broth, Sterile Water, LB Broth, PBS, and more. Custom formulations are available. 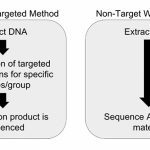 As government regulations and consumer demand warrant cleaner, non-contaminated products, rapid mycotoxin analysis is critical.